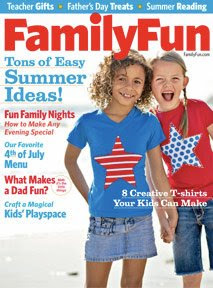 Get a 1 Year Subscription to Family Fun Magazine for only $5! Retail is $39.50, so you’re getting an 87% discount! This is a great magazine for family – full of great crafts, creative ideas, and helpful hints. When I finish magazines, I usually throw them away – but not this one. I keep it becuase of it’s great ideas. Get your subscription Here . Enjoy. Thanks, Hip2Save for the heads up. Sign up for CVS photo center. It’s FREE and you’ll get up to 50 free prints when you join. Vista Print has some great Summer Promotions running. Get your $5/$25 Petsmart Coupon Here (expires July 25.) Pair with the $5 Eukanuba Dog food coupon Here. Sign up for the Luvs diaper newsletter for special offers and great coupons. HUGE Sales at Diapers.com – Don’t Wait! Take advantage of the HUGE savings at Diapers.com – I definitely will be buying my newest carseat (for baby #2) this week! As always, there is FREE Shipping of all orders over $49!